Post hooks by the entryway and always know where your keys are. Command Hooks are my personal favorite and they are available in clear, as well as white. They are removable and reusable with new adhesive strips. Click here to see them on the Command website. Another tip is to put your keys on a chain with a Carabiner Clip. These can be purchased at Lowes. Here is a link to see them on the website. I resisted this at first, because I thought it would be too big, but I found that tucking the car key into my pocket keeps it secure and out of the way. 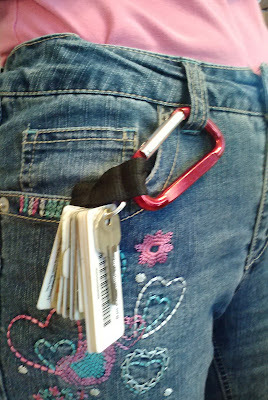 Before the clip, I was just tucking them into my pocket and found they often fell out when I bent over. Not anymore!! 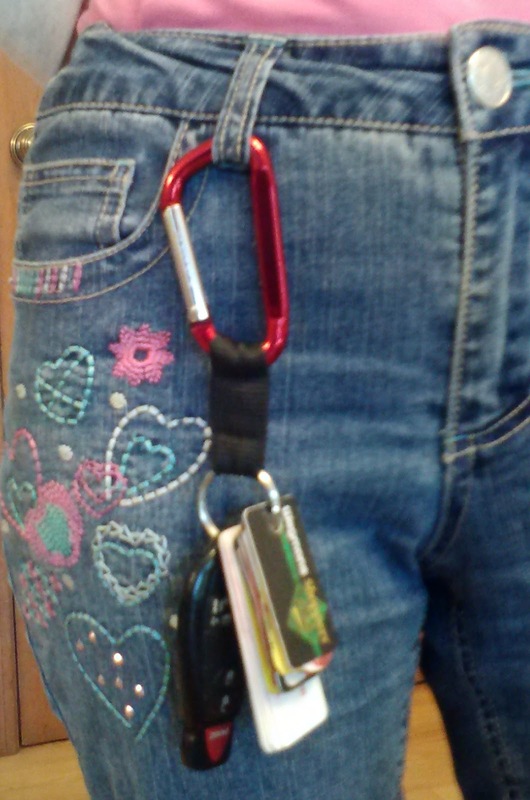 When I don't have pants on with a belt loop, I can hang it on the handle of any bag I am carrying. My husband likes it too, and wears it like this. Those are good ideas. 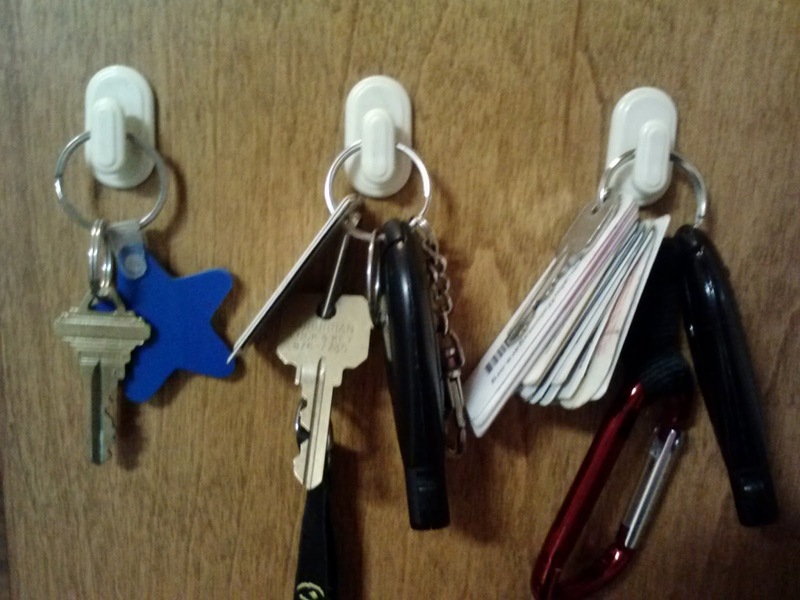 I don't keep keys on hooks but I do keep them in a single spot where I can find them. I always make sure I put them back in that same spot. I find that keeping those things organized leads to a less stressful home life. Key management requires discipline, making sure that you always keep keys at place where it belongs to. I myself have been guilty of misplacing keys so many times.